Turkish Airlines, the airline with more destinations in the world, opened its flights to Havana, where it will travel from Istanbul three times a week, operations it plans to perform on a daily basis in short term. At a press conference at the Melia Cohiba Hotel, Mehmet Büyükekşi, member of the company's board, explained that the purpose of increasing the frequency of travels responds to Cuba's geopolitical position and its growing business possibilities. 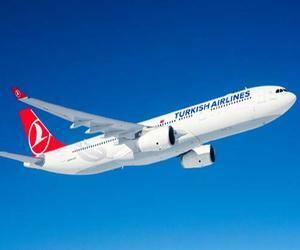 We consider Havana very important within the destination network where we fly, said the representative of Turkish Airlines, which through this operation and the one carried out also on Tuesday to Caracas, Venezuela, amounts to 17 routes in the Americas. He emphasized that the new air connection will allow to increase the cultural, economic and collaboration relations between Turkey and Cuba. Büyükekşi said that in order to strengthen bilateral trade links in the coming months, a business trip will be organized to Cuba, old tradition of this airline when inaugurating a destination. Sonia Beltrán, delegate of the Ministry of Tourism in Havana, noted that the start of flights from Istanbul will strengthen the bonds between both nations and will increase the arrival of visitors from other cities in Europe, the Middle East and Asia. She highlighted the preference of the Turkish vacationers towards Cuba, mainly for the combined products, cultural circuits and the enjoyment of the sun and the beach. The Turkish market, with great potential for the businessmen segment, has been gradually increasing its figures of visitors to Cuba, with 8.5 percent growth at the end of October, said Beltran. Created in 1993 with a fleet of five aircrafts, Turkish Airlines currently owns 334 planes flying to 295 points in the world and moving 60 million people.